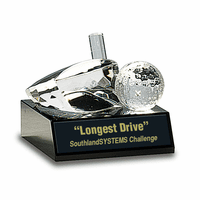 FEATURES/SPECS Here's a great way to award the winner at your next country club or organization golf tournament. 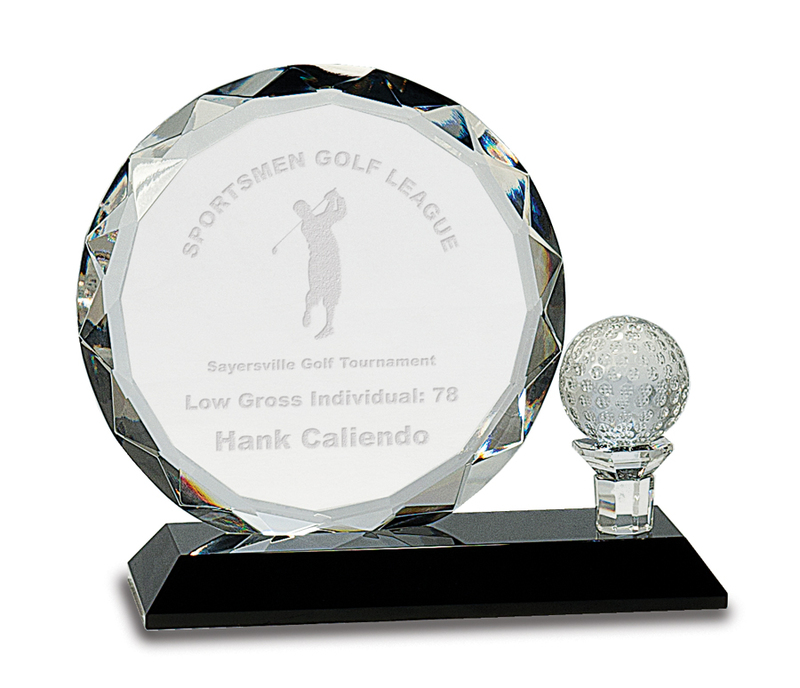 On a jet black pedestal base are a round beveled and faceted plaque, with plenty of surface to engrave your tournament name and date, and a logo. Resting next to the plaque is a carved clear crystal golf ball on a golf tee, exact in every detail! 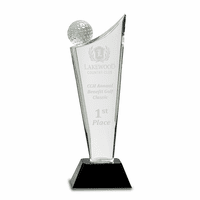 Any winner will be thrilled to take home this trophy, for its elegance and classic look. It's available in two sizes, 5 '' and 6 '', so you have the option of choosing the one that works best for you, or getting both for 1st Place and 2nd Place winners! 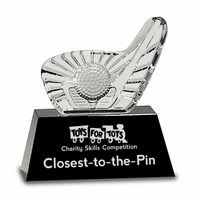 We will personalize it for free, and package it in an attractive gift box, so your work is already done once you place the order, and you can go practice your putting! 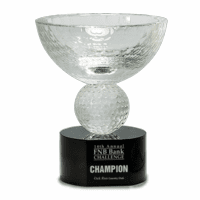 Here at the Executive Gift Shoppe, you are our highest priority, and we offer you our full Satisfaction and Performance Guarantee! I ordered this for my brother's birthday. He is an avid golfer and enjoyed this very much. 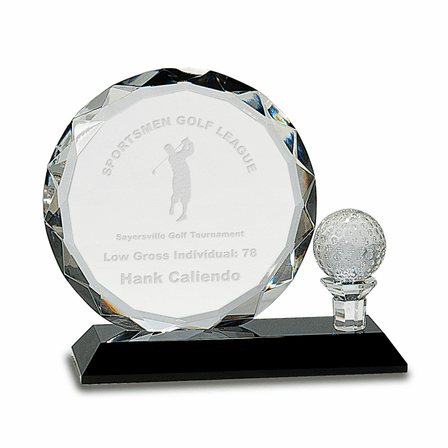 We were very pleased with the customized engraving and the short time it took it to get it done. The staff was very accommodating with our requests.